The arrival of a new baby is an amazing and truly life-changing event. Pregnancy is the perfect countdown to get the nursery painted, assemble the cot and purchase plenty of cute outfits. However, if baby suddenly makes an unscheduled arrival, your world can turn upside down very quickly. A premature baby is one that arrives before 37 weeks of pregnancy. This doesn’t necessarily mean that all premature babies will be tiny, but it often means that Mum and Dad can face a long and uncertain spell at the hospital. 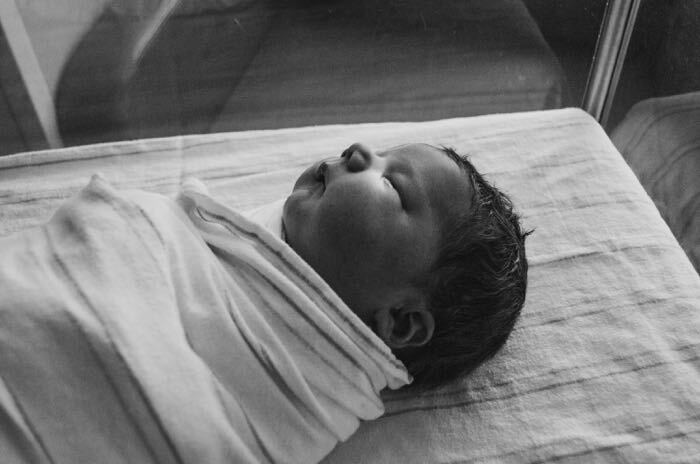 As a parent of a preemie, like most pregnant women I was blissfully unaware of what was ahead. Having your baby arrive early is a scary and overwhelming experience. All the dreams you had about cuddling up to a chubby newborn disappear, and are quickly replaced with numerous worries and fears. For many, a premature baby can be their first child, or like myself, it can happen with a subsequent child. 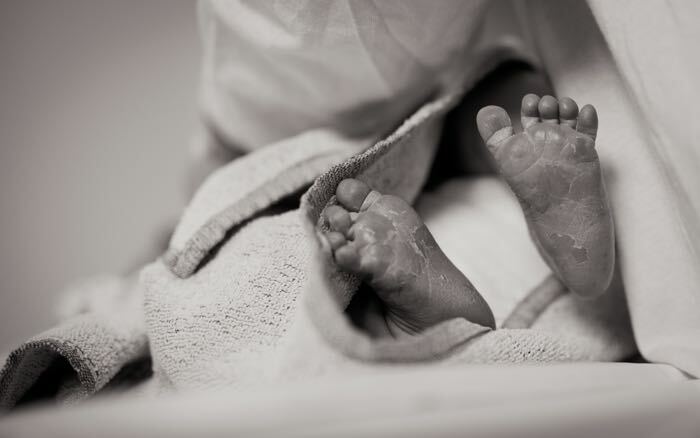 There is often no reason for a premature birth, even though poor Mum will probably spend years wondering why it happened and if she could have avoided it. The Special Care Baby Unit is a rollercoaster ride of emotions for a new Mum. Some days there are highs and others can hit crushing lows. Here are some useful tips if you have suddenly entered the world of parenting a bit earlier than you would’ve expected or if you are a member of the family, it will also be useful to know how you can support the new parents in the coming weeks. More often than not, the family is just as stunned by the sudden arrival and assume that you won’t want to celebrate until you get home from the hospital. The truth is, this baby is still as loved and longed for as any full-term baby would be. Just because you have a longer stay in hospital doesn’t mean you can’t celebrate the birth of the newest family member. Sending cards, flowers and messages will remind anxious parents that their family and friends are happy for them. It’s difficult when there’s a new baby around, all the tiny outfits in shops are difficult to resist, but premature babies don’t wear many clothes until they get bigger. A very small baby will be placed in an incubator and will be dressed simply in a nappy and a hat until they grow further. The hospital usually has a plentiful supply of clean, tiny vests and onesies to dress your baby in when they reach that special stage. Baby outfits in stores are typically enormous for a preemie, although some shops are developing their own premature clothing ranges. It’s always best to check with the nurses on the unit first. Bringing special items from home risk being lost in the laundry at the hospital. If you really want to buy an outfit, try a newborn item for a few months ahead and always obtain a gift receipt in case it doesn’t fit. If you want to buy a gift for the baby opt for a blanket or shawl. A small bear or stuffed animal can be washed and placed in the crib with the baby, or you can choose a ceramic keepsake to place in the nursery. A baby milestone book is also very useful for keeping Mum occupied whilst at the baby unit. Another alternative is store vouchers for when Mum and baby can go shopping together. Ultimately, Mum is feeling rather overwhelmed and anxious at this time, so gifts and cards may not be met with the same welcome as you would expect. The best thing you can do for her is to offer your support. She may well be spending all of her time at the hospital with the baby, so texts and emails work well. Long hours can be spent in the special care baby unit so a text to say you’re thinking of her can mean a lot. Offer her a listening ear, a shoulder to cry on or a cup of tea whenever she’s ready. Words are powerful, but they can also be hurtful without intent. The natural response to a premature baby is: “Isn’t he/she tiny? !” Sadly, the last thing that she wants to hear about her precious bundle is how tiny they are compared to the others on the maternity ward. Throwaway comments can feel upsetting, things such as: “How long is he in here for?” and “Do they know what’s wrong?” Remain positive. Premature babies face an unknown journey ahead. A gift for the new mum is always the best way forward. She’s just given birth and is bound to be feeling rather overwhelmed. The last thing she will be thinking about is herself at this time, so a personal gift can mean a lot. A nice hand cream is a lovely treat as she will be washing her hands a lot. Also good is a basket of shower gels, face creams or lotions. A photo frame so that she can put her own pictures of the little one is thoughtful too. Remind her she’s doing a great job. Life is truly turned upside down by an unexpected arrival. It may mean that there was little time to prepare at home before the baby arrived, so offer your services to the family. Try offering to do the ironing, washing, or maybe spring clean the house. Another option is to cook a meal for them. Days spent at the Baby Unit don’t allow for home cooked meals. Better still, rustle up some meals they can pop in the freezer so that they can come home and enjoy a meal without having to prepare it. Another way to help is with lifts to and from the hospital. If Mum had a caesarean birth she’ll be unable to drive for the first 6 - 8 weeks so by offering a lift to the hospital you’ll be really helping out. Fuel and parking costs can escalate whilst having a baby in special care so any help you can get is great. You could also offer to pick her up from the hospital, and in the back, have a homecooked meal wrapped in foil for their dinner. One of the best ways to support her is by listening and understanding. A new mum is understandably struggling to hold it all together for her baby, and for friends and family too. She’ll be scared and anxious and won’t want to spend much time away from the unit. If she doesn’t invite you in to see the baby, try not to take it personally. Hospitals have their own set of rules concerning visiting, it may be difficult because they don’t allow many visitors around the crib at one time. You could try and visit her at the hospital and take her for a coffee break and a chat, and coo over any new photos she has. When baby finally comes home from the unit, it will be a wonderful moment for the new parents. Let them relish it together, but keep in touch. Regularly send texts or messages to say that you’re still available to help and support them in any way they need. Even if it’s to pick up more nappies. The parents will have the same emotions as those of a full-term baby has on coming home, so be patient and offer support and advice where you can. Hopefully this article has given you some tips on how you can support a friend or family member who has given birth prematurely. If you have any that we haven’t thought of please feel free to share them with us, and in turn help others.